I think this moment, these current days of sewing, are some of the best times ever for the pursuit. Obviously I am biased, because I offer workshops and retreats on the subject. 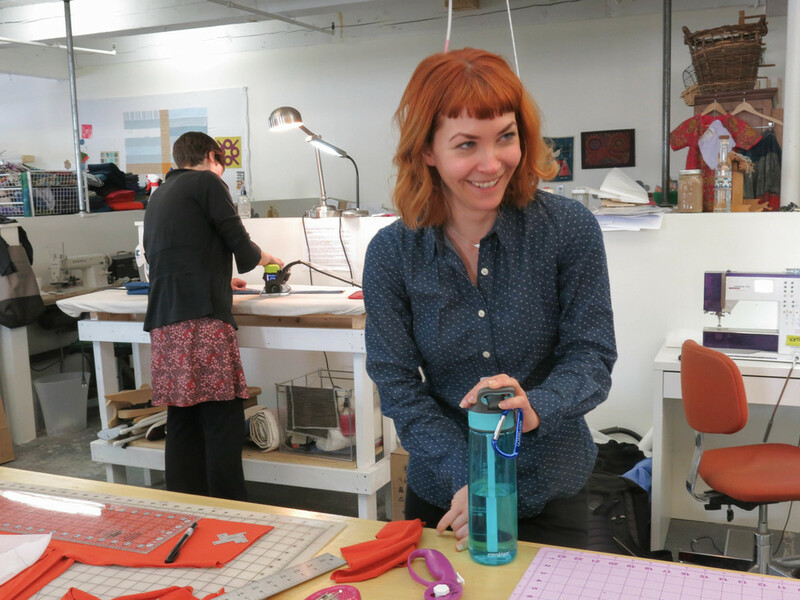 But just this past weekend Jennifer Wiese at Workroom Social, ran a weekend retreat for garment sewing called Camp Workroom Social. I saw some pictures come from that, and those folks looked exited. Below you will see scads of images from the weekend with Lauren Taylor aka LLADYBIRD that took place here in Portland last month. A quick perusal of the interwebs will offer up all sorts of useful information about making garments and places to study. And there is more of this on the horizon. 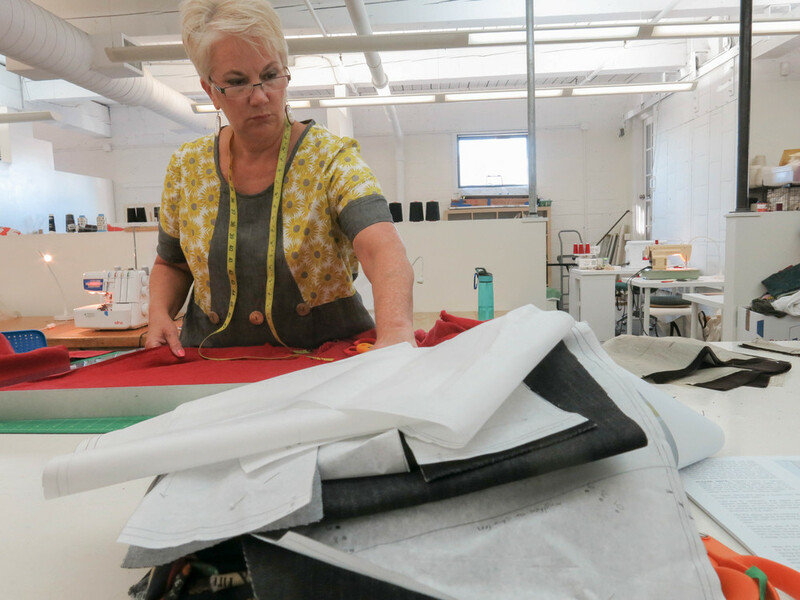 Now is a great time to be a garment sewist! 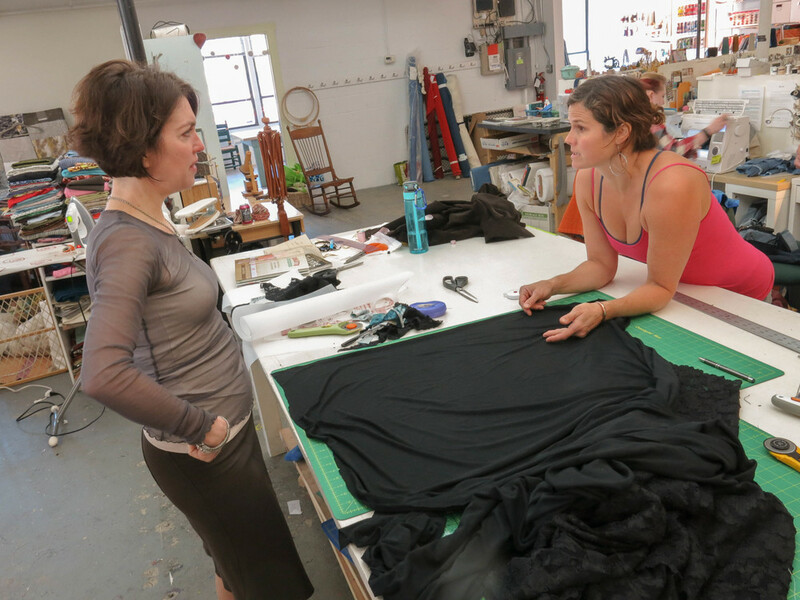 Just look at the conversation started by Slow Fashion October! People are sewing, and sewing garments! Making their wardrobes, or at least parts of them! We are no longer a marginalized subset of quilters. Look at the happy faces of these garment sewists! Can I tell you how happy their smiles make me? I have been sewing clothing for decades. Some times more successfully than others, but mostly by myself. Ever trying to glean knowledge from books and two-dimensional illustrations. I have done pretty well, but I think of the legion of miserable failures, and the ensuing depression that went with them, and wonder that I didn't give up. But now....? Now there are so many resources available, and I am so very proud that A Gathering of Stitches is one of them! 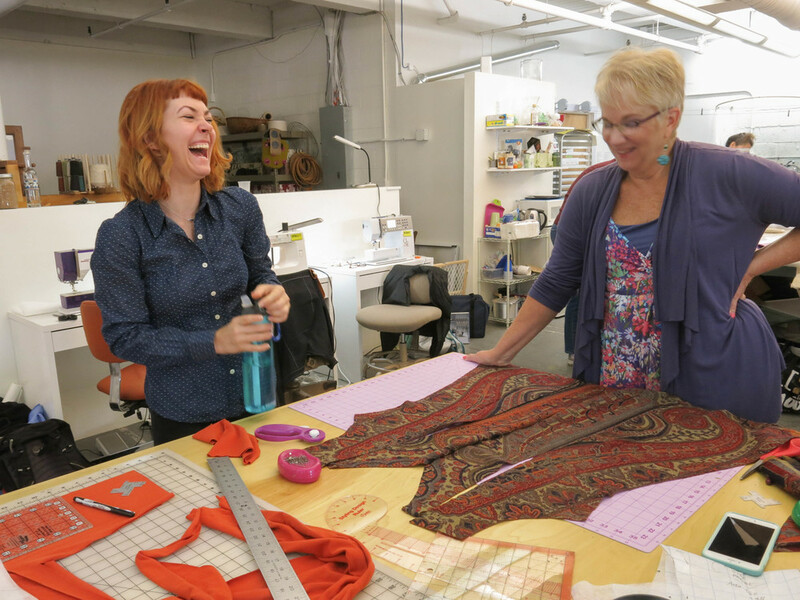 The last weekend in September was a flurry of garment sewing wonder here at the Portland studio. Lauren flew in from Nashville, having had previous email conversations with all of the participants. Everyone brought projects at some stage or another. 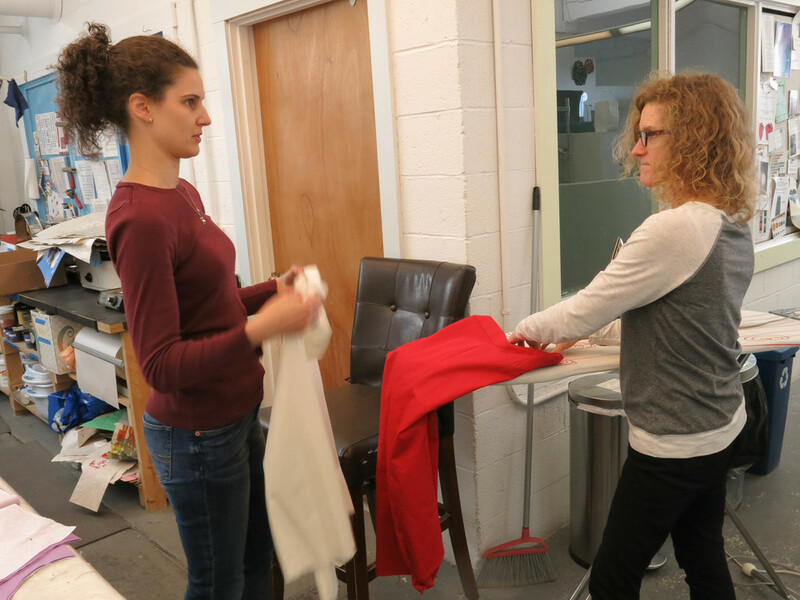 She brought her boundless enthusiasm for garment sewing, and her wealth of fitting knowledge, to help the group create garments they will all be proud to wear. The format was pretty loose. 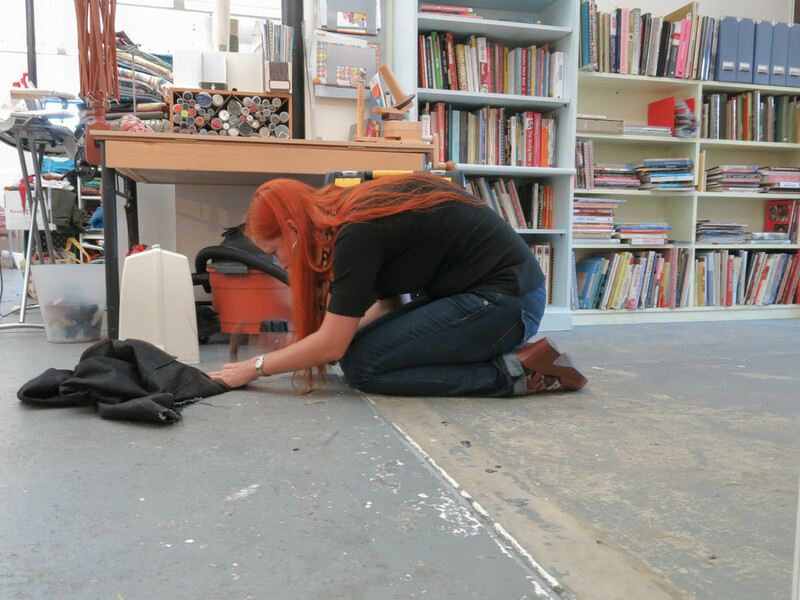 I have kitted the studio out with just about every tool I can think of, we have three 4' x 8' cutting tables, lots of sewing machine desks, and machines, and we had four solid days of sewing time. 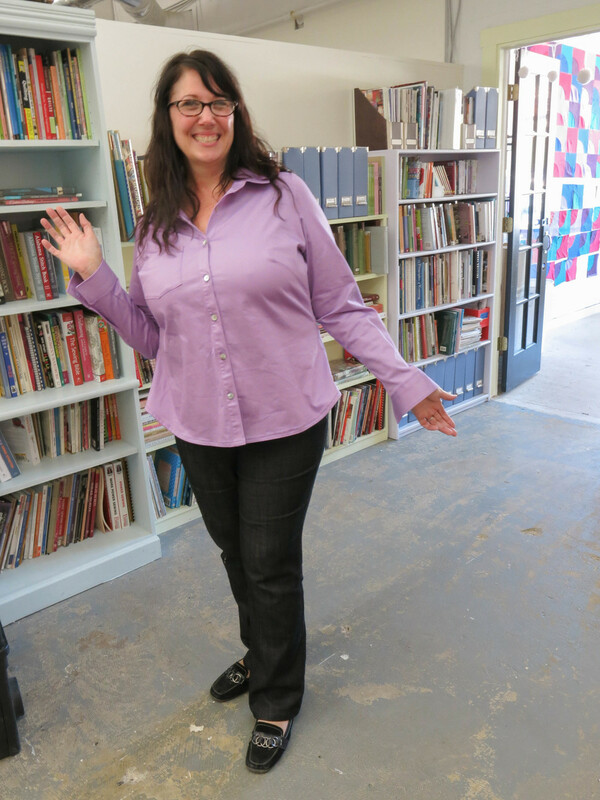 The idea was for everyone involved to go away with new skills and knowledge to further their sewing practice. The true heart of the workshop was this woman, Lauren Taylor, or LLADYBIRD as some know her. Her enthusiasm for the medium, her knowledge of the subject, and her astute ability to look at a project and see where it needed to go next, were always in great supply. She loves what she does, and it shows. Not because she is maudlin and spouts cliches, but because she is so matter-of-fact about how challenging, and satisfying, it is. Lauren considers sewing both as her wardrobe, and her entertainment. I say, brilliant! It is one of the distinct pleasures of what I do, producing these events, that I get to spend time with people like Lauren. I learn so much from them! And watching her at work was so gratifying. Most of us who sew still have to explain why we sew to non-sewists. It can be de-moralizing to explain why I don't want to just buy a T shirt at Target. So when you get to spend four days with someone for whom seam allowances and pattern companies are conversational fodder, I certainly jump at the chance. To have a group of eleven folks was pure heaven! 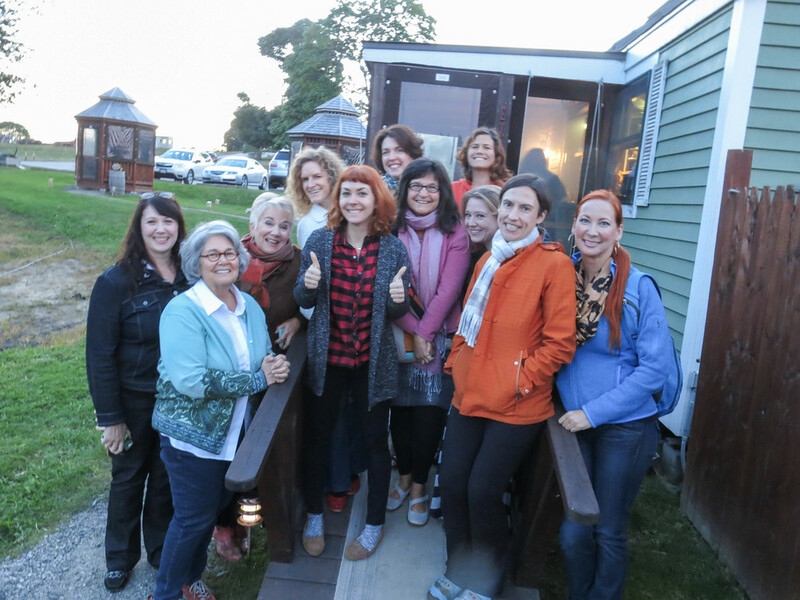 I am continually delighted by the excitement of each group of retreat attendees. I tell you that studio was electric with creative energy for the whole time. To be able to really spread out and work uninterrupted for an entire day is a luxury not many have in their sewing practice. 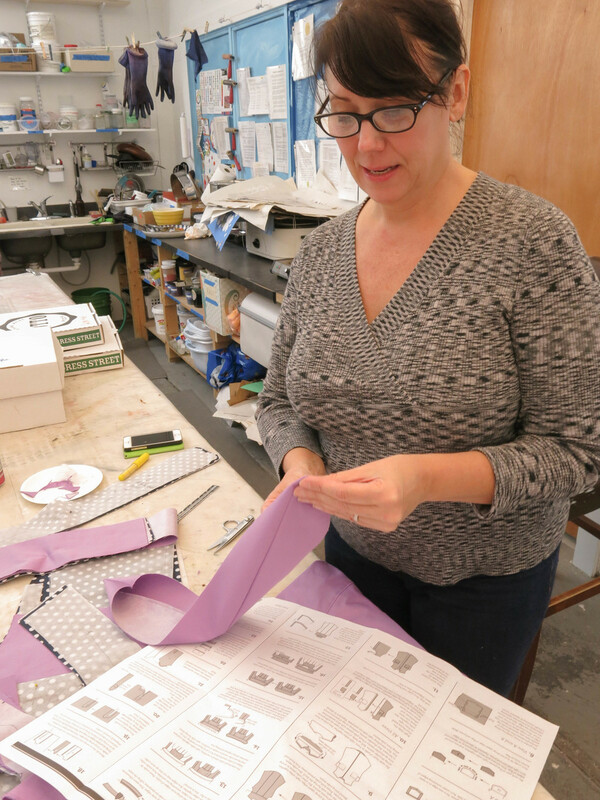 Often the sewing area is shared with other people, or other purposes (the dining table), and the hours allotted may only be singular, or even stolen half-hours. The literal excitement at being able to sew all day, and to have the guidance of an expert right at your side? It was palpable.... When people get to do that thing that makes them happy? Well, then they are happy! And even if things may not all go perfectly, you pull out the seam ripper. And that's when the encouragement of the group keeps you going. Sewing by yourself is one kind of delightful. Quiet time to dedicate attention to those stitches is precious, and delicious. But so, too, is the ability to share the time and the experience with others. Everyone learned from Lauren that weekend, but they also learned from each other, and from themselves. Gah! This stuff is sooooo cool! This format, doing garments here in the studio in Portland, was so successful that I am putting more of these on the schedule for 2016. Lauren has agreed to come back. Jen Beeman from Grainline Studio is coming. So is Cal Patch. And Christine Haynes and Alexia Abegg. 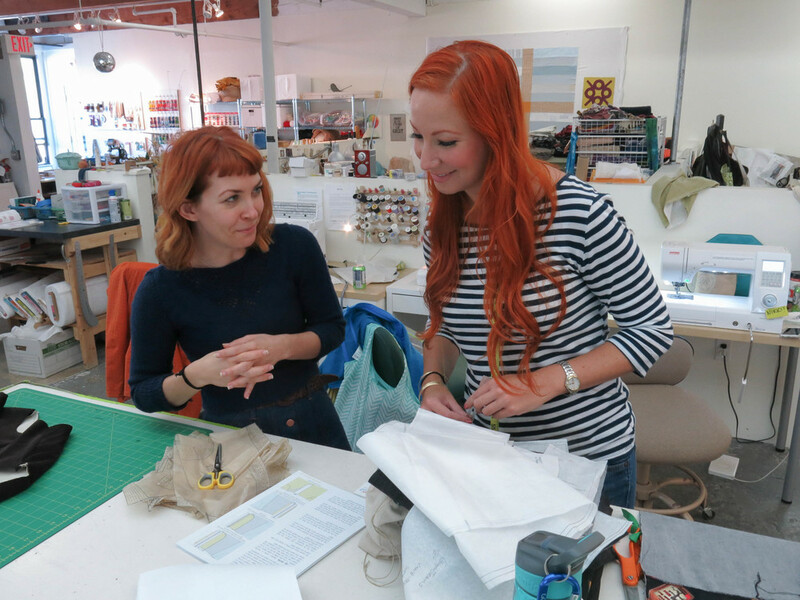 Oh, and for those brand new to garments, Jaime Jennings and Amber Corcoran (the creative genius behind Fancy Tiger Crafts) will be here to introduce newbies to the joy of making clothing! I am ironing out details and working up descriptions. It should all be comprehensive and coherent, and ready to read by the end of January 2016 at the latest. Registration will open by the end of February, at the latest. If you want to be first to learn about the announcement, sign up for my email list at the bottom of the home page. So garment sewists rejoice, more gatherings abound!